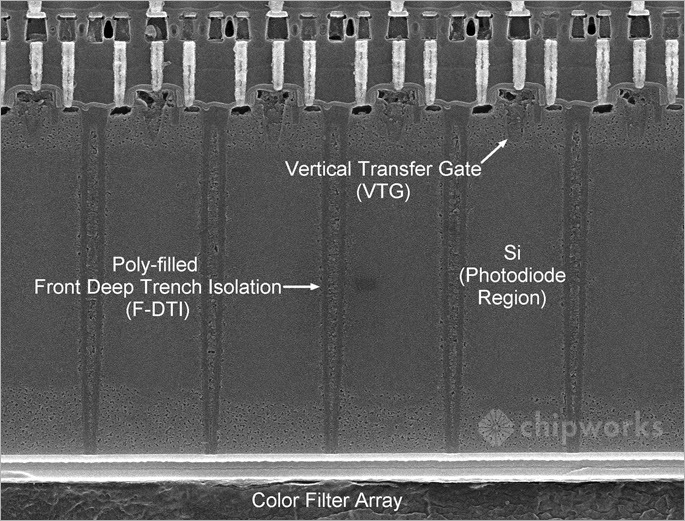 Chipworks publishes more details about Galaxy S5 primary camera.The 16 MP ISOCELL image sensor with 1.12 µm pixel has phase-detection pixel pairs distributed across nearly the entire active pixel array. 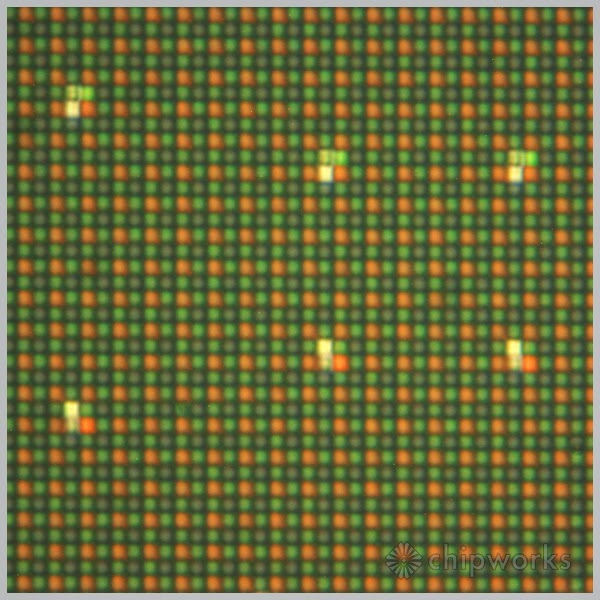 This marks the smallest phase detection pixel generation Chipworks has seen and only the second time they have seen on a BSI sensor (Toshiba was first @ 1.4 µm). Chipworks says: "The presence of phase detection pixels also implies the use of a back aperture grid (with the phase detection pixels being half-masked). The use of an aperture grid would also be a first for Samsung (based on our analysis)." Is the Galaxy S5 the only phone to have Phase Detection Pixels or are these common in other phones?